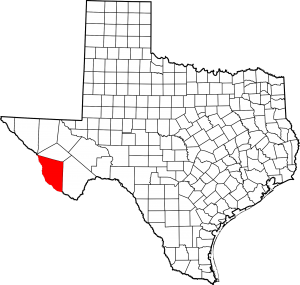 The Marfa Lights, Big Bend Ranch State Park, and Big Bend National Park in nearby Brewster County provide the largest source of tourism in the county. 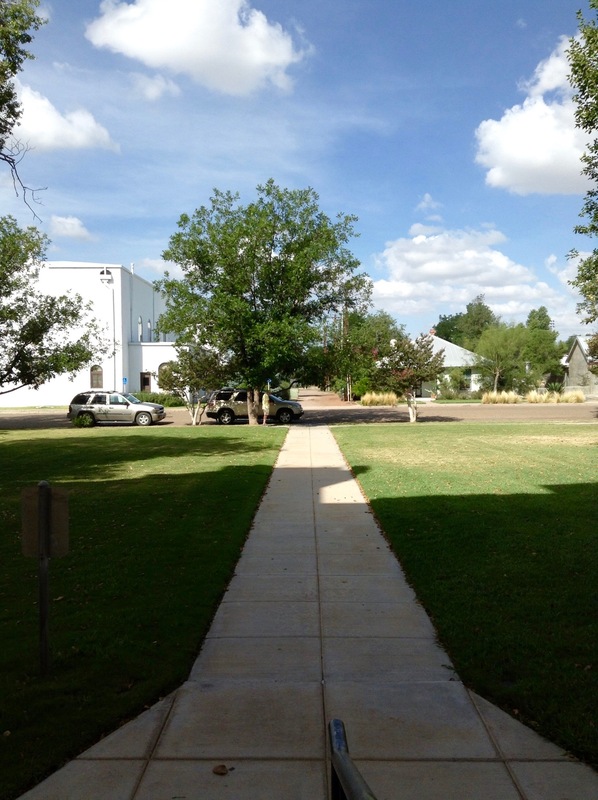 The 1956 movie Giant was filmed in the surrounding area as well. 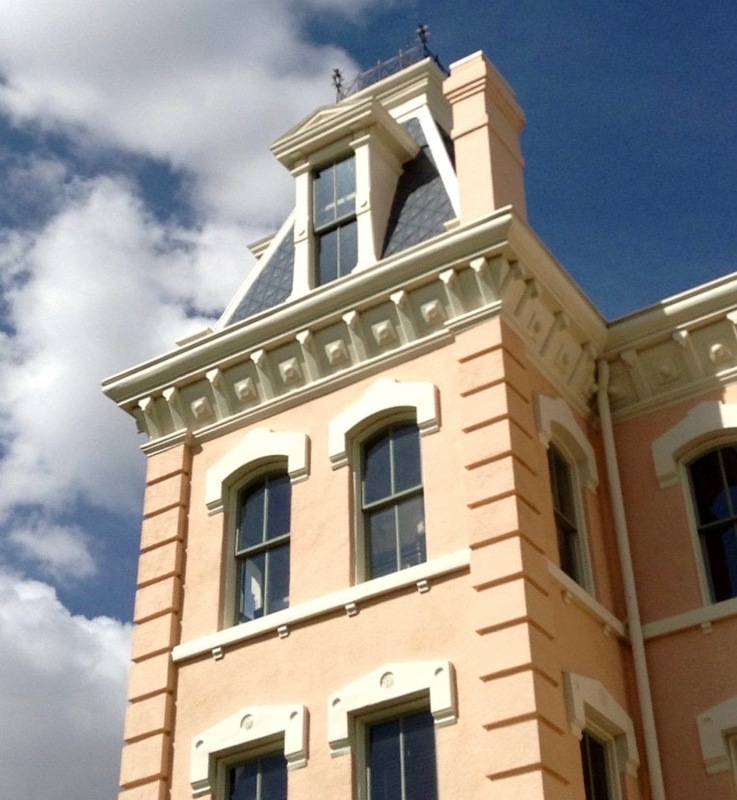 Legend has it that the wife of either a railroad executive or its chief engineer named Marfa. 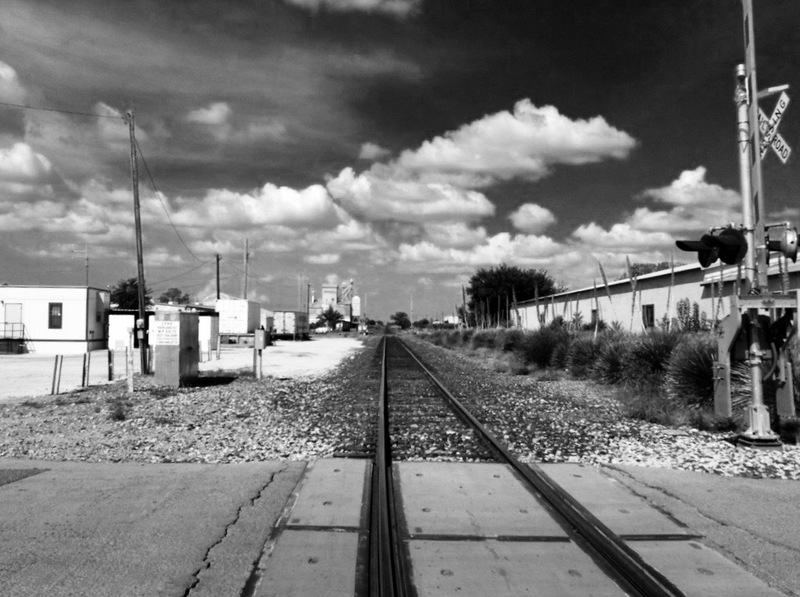 The story goes that she was riding a train out west reading Fyodor Dostoevsky’s novel, The Brothers Karamazov, when her husband asked her to pick a name for the community they stopped in. 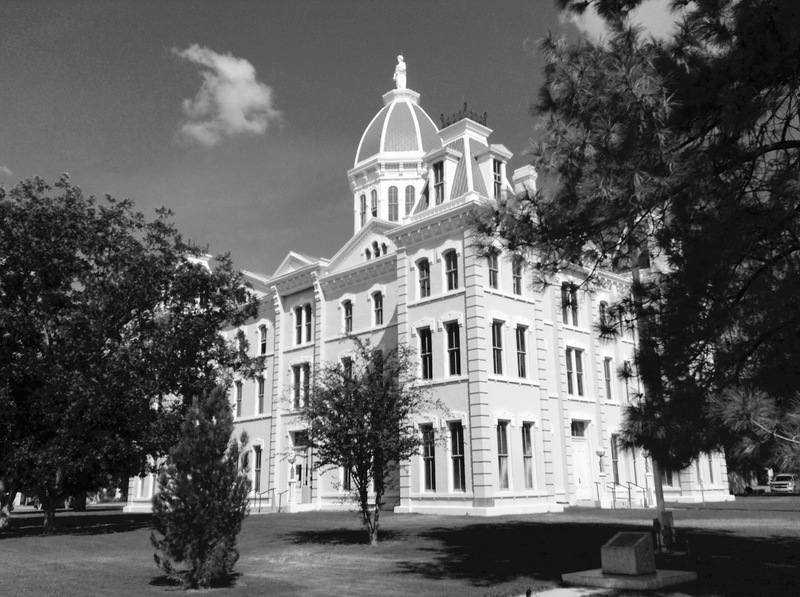 They say she chose the name of the elderly servant in her book, hence Marfa. 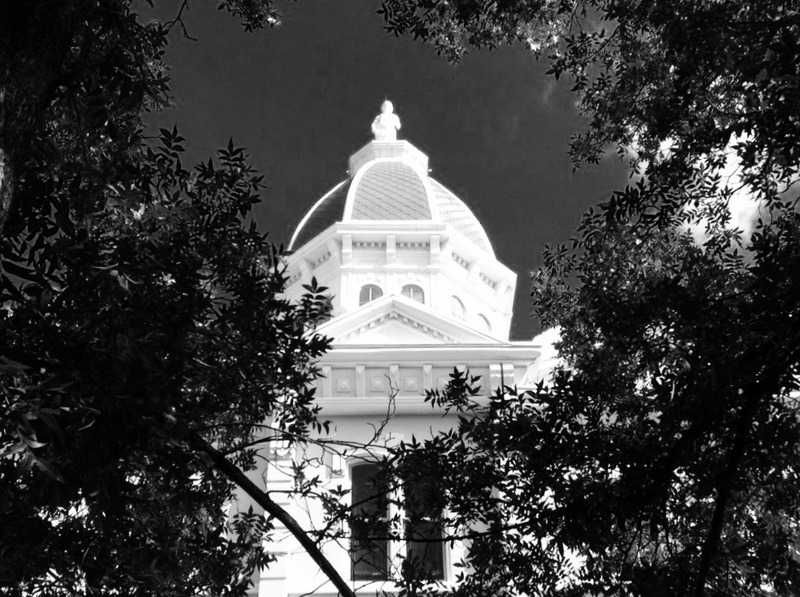 This is, as it is for many people, one of my favorite Texas courthouses. 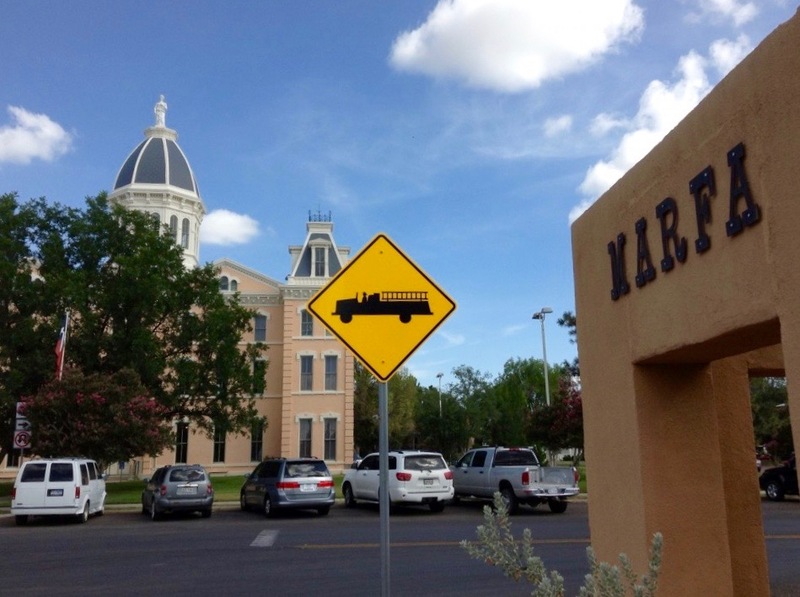 I was the guest of Marfa and Presidio County on August 14, 2013. 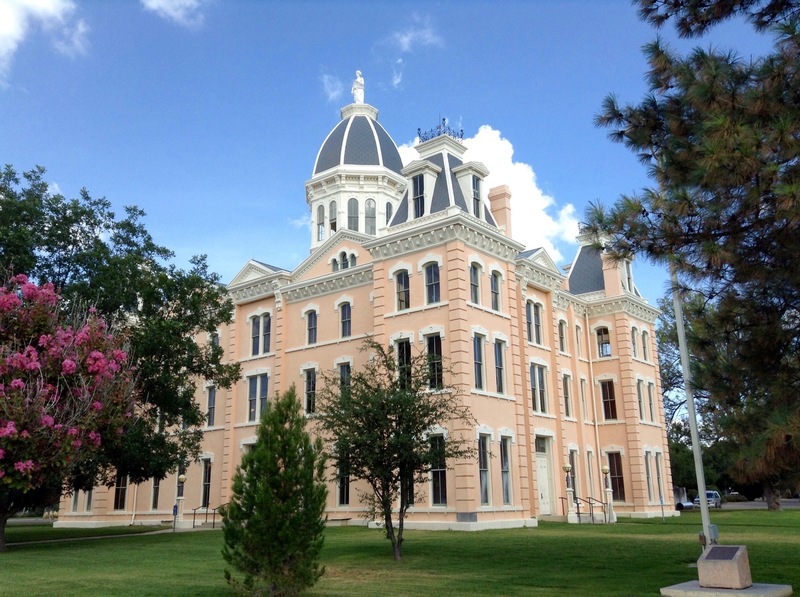 Presidio County has been through three county seats: Fort Leaton, Fort Davis, and Marfa. 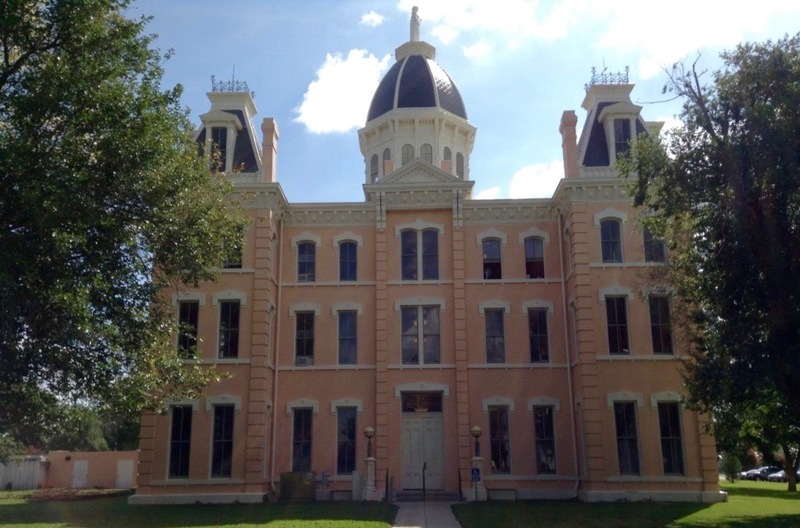 As it turns out, Fort Davis is the only county seat in Texas history to have served two different counties in its time. 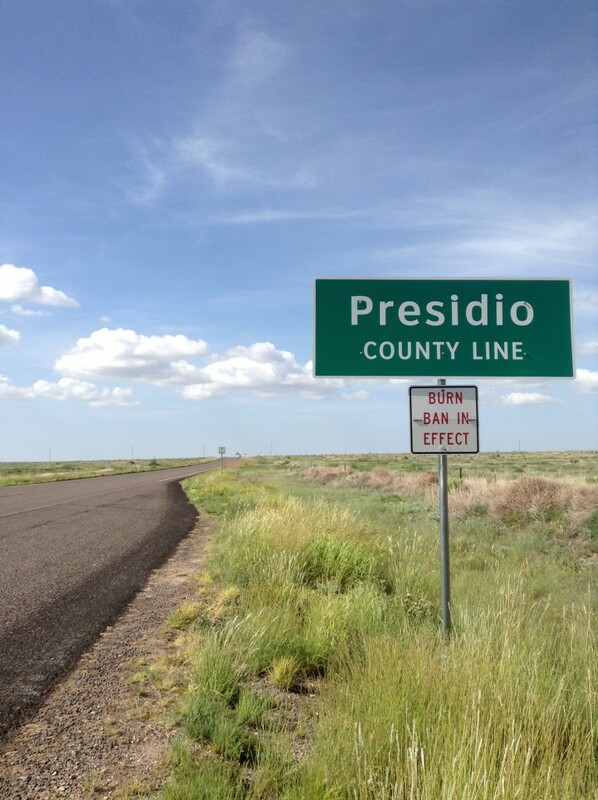 Part of the process of Presidio County assuming its current borders included carving away a portion of territory for Jeff Davis County in the north. 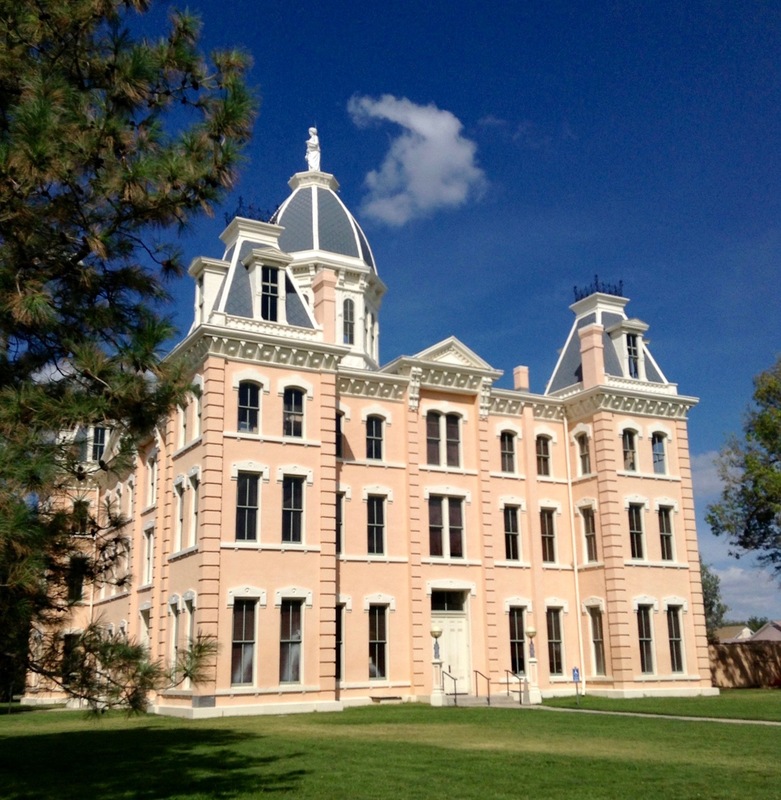 There, the community of Fort Davis assumed the role of county seat. 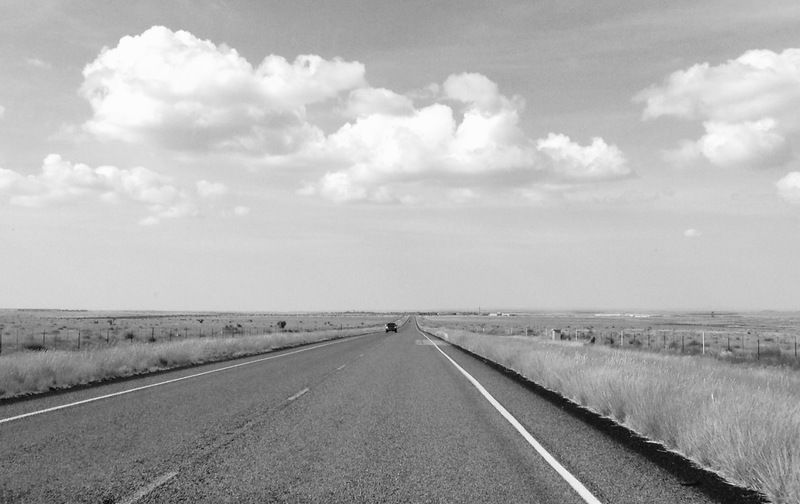 To take its place for Presidio County in the south, Marfa was then duly chosen. 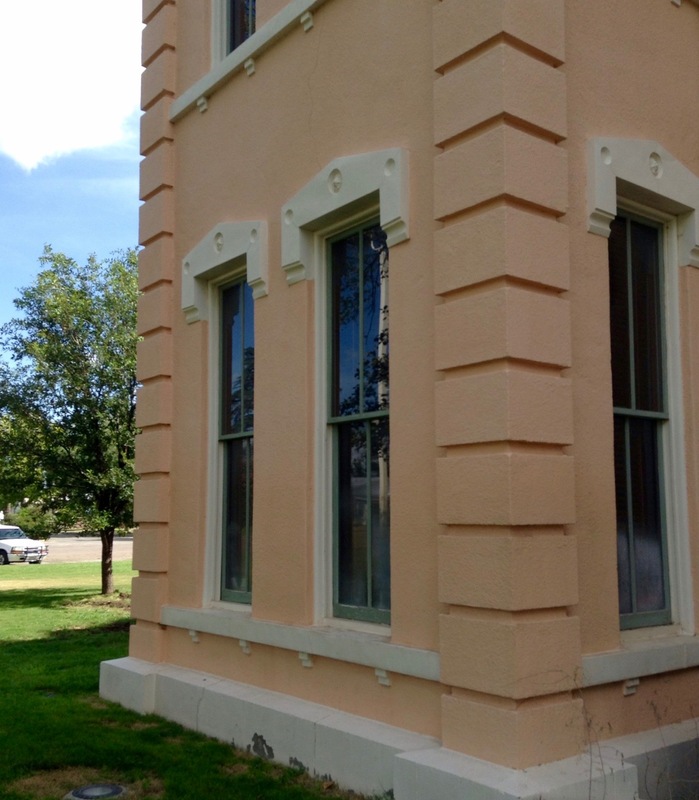 This is the first and only courthouse to have ever been built in Marfa. To me, that’s remarkable. 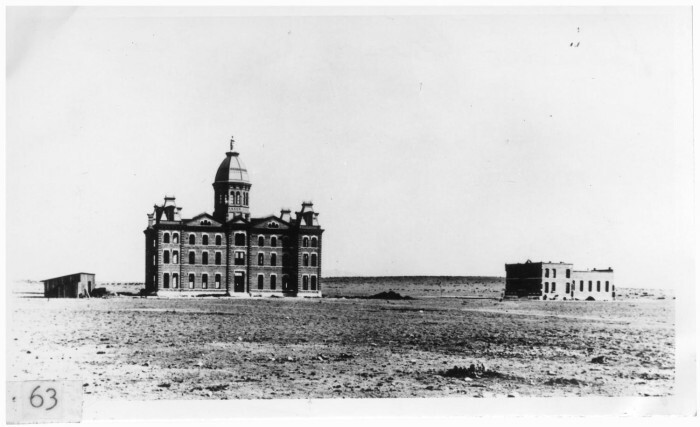 It’s simply astounding that a building like this was able to survive the Great Depression and the modernization efforts of the mid-20th Century. 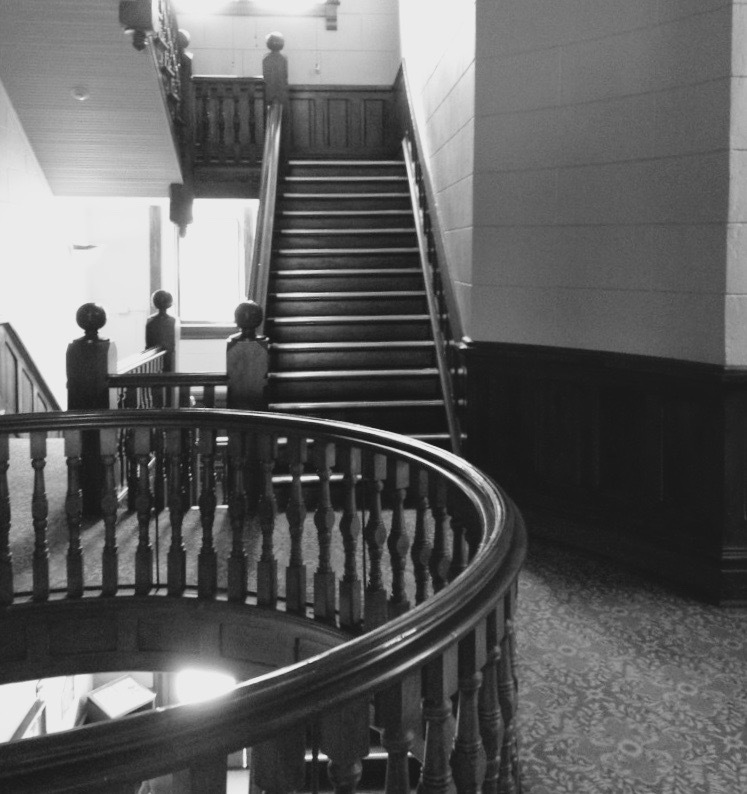 So many of its many cousins hundreds of miles back to the east did not receive the same fate. 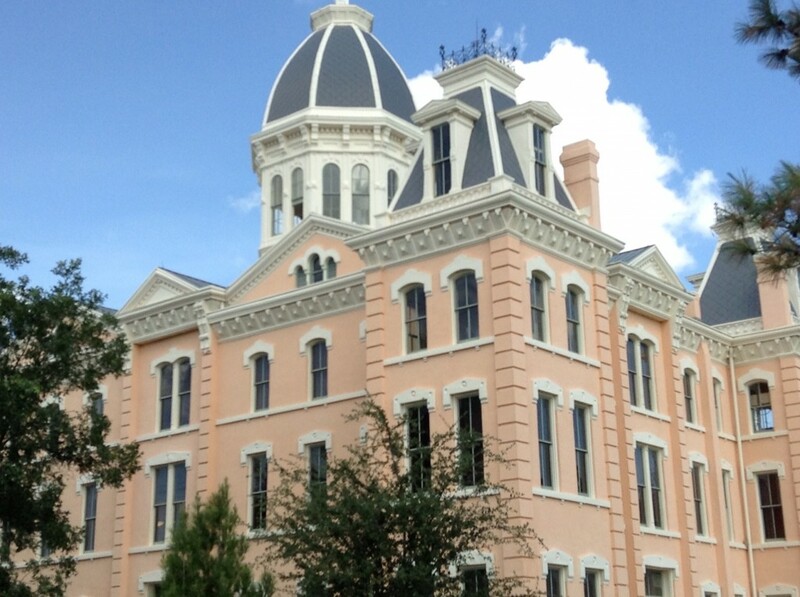 Maybe it helped being so far out on the Western plains, away from the hustle and bustle of cities like Rockport, Cooper, and Canton that destroyed some of the finest courthouses in Texas history (in my opinion, anyway). 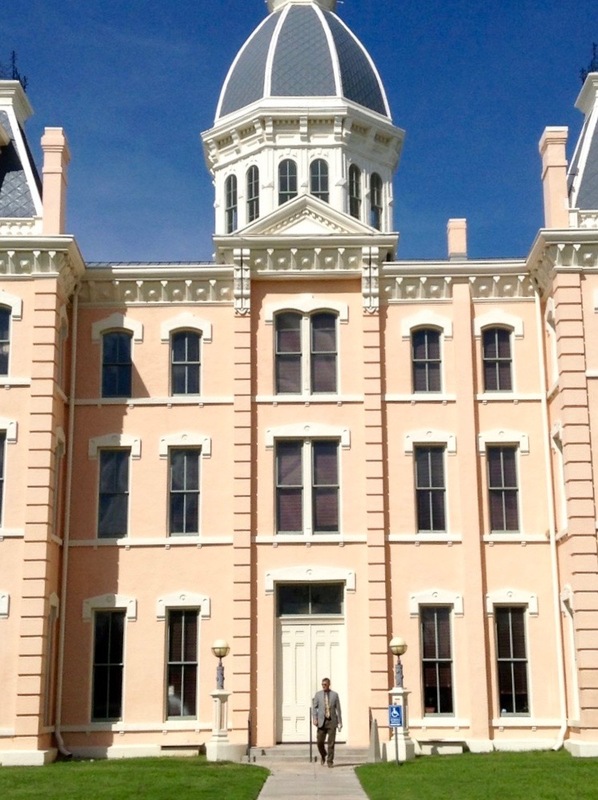 Whatever the case, kudos to the people of Presidio County for preserving one of the most magnificent surviving courthouses in our state. 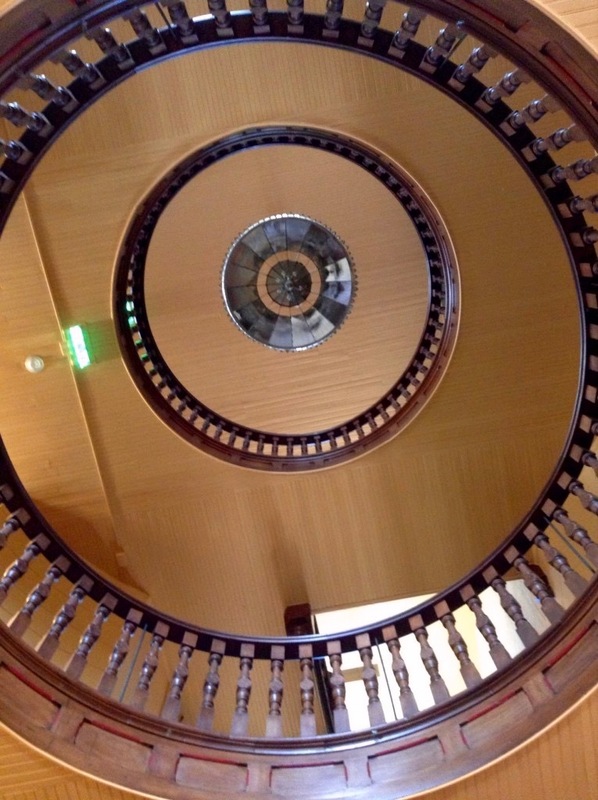 English-born Alfred Giles provided the designs for this Second Empire wonder and James H. Britton served as contractor. 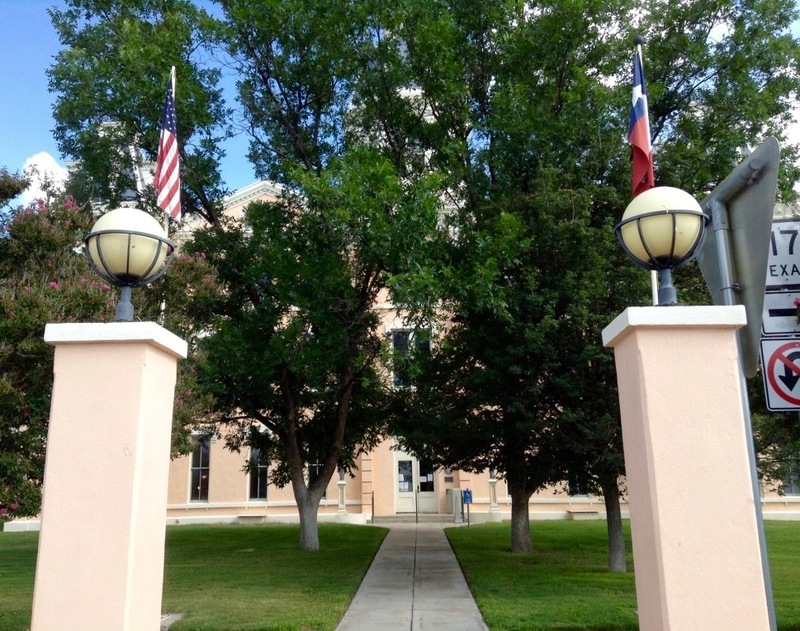 Giles also designed one of El Paso County’s historic courthouses (the two looked somewhat similar), but that was destroyed in favor of a literal skyscraper. 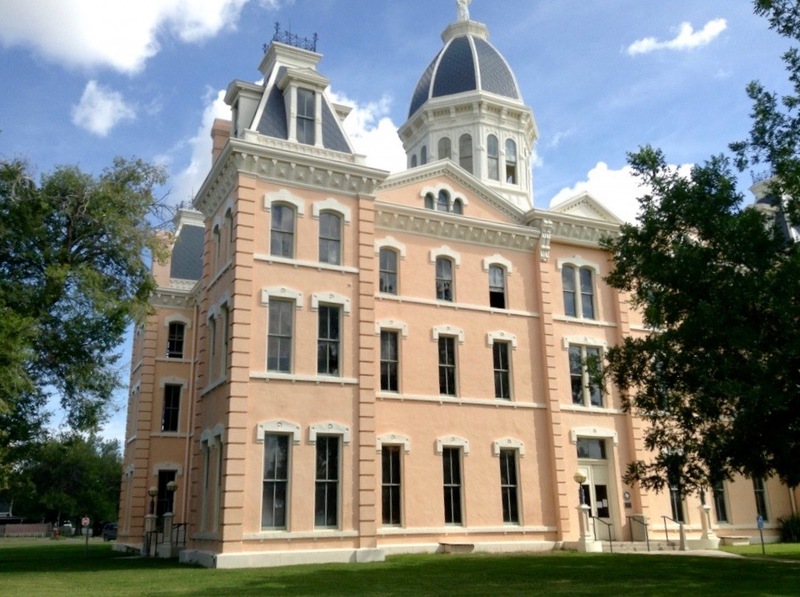 This courthouse is made chiefly of stone and locally made brick, and cost the county $60,000. 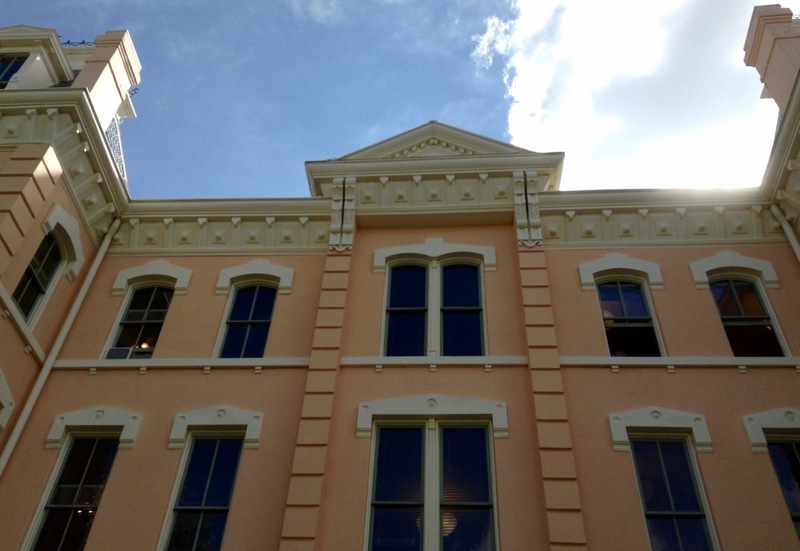 While the exterior bricks were once visible, a renovation in 1929 included stuccoing them over and painting that new layer a salmon color to mimic their original shade. 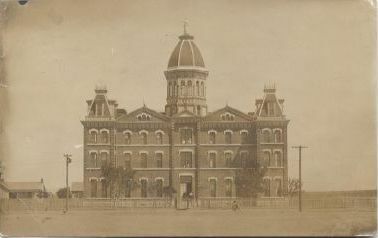 In fact, the building has gone through several renovations. 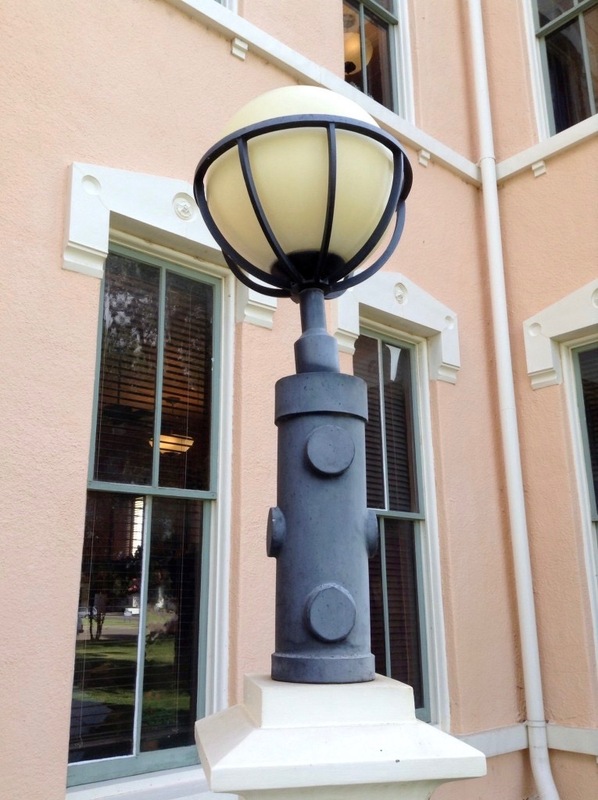 Some of the more noteworthy ones include the installation of electricity in 1922 and replacements of insulation, wiring, paint layers, and the roof in 1985. 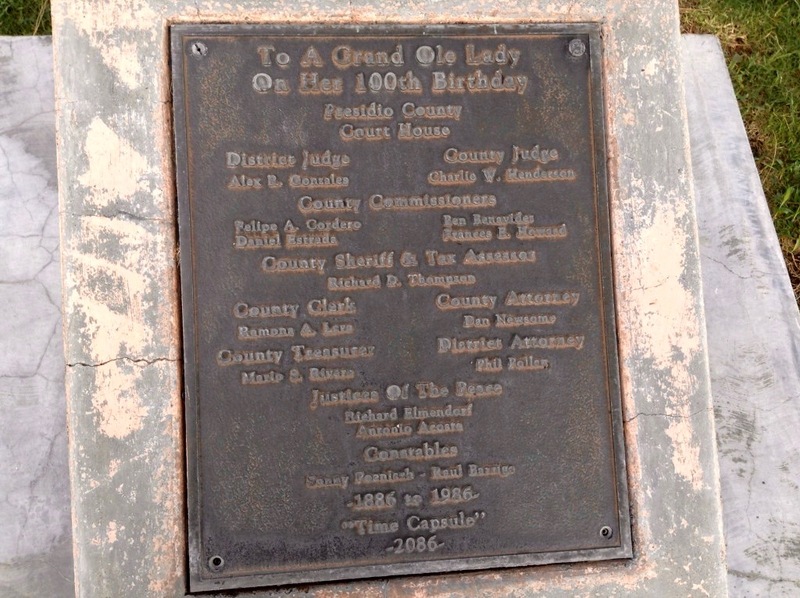 The courthouse also got an elevator that same year. 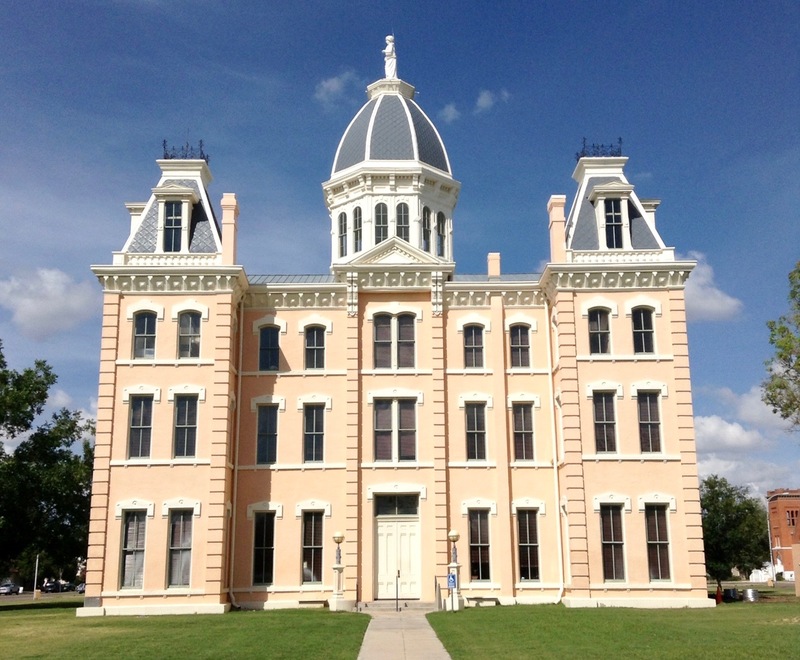 The tower, cupola, and mansard-roofed, corner pavilions are still as astounding as they were when this building was the only thing visible in Marfa for miles and miles and miles. 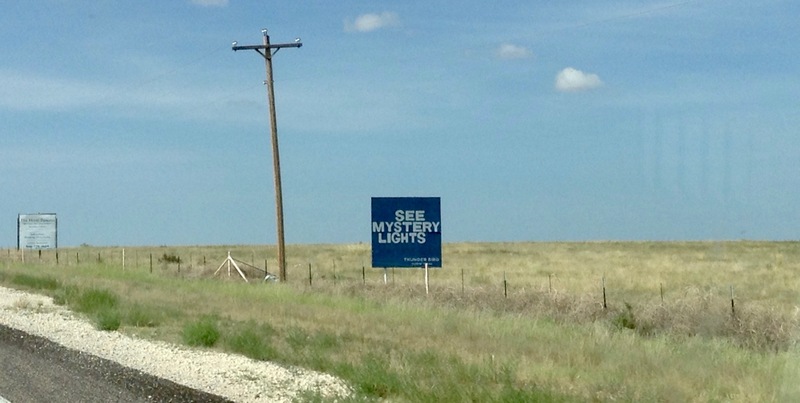 Just imagine riding across the plains towards Marfa and suddenly spotting this in the distance, alone on the horizon. 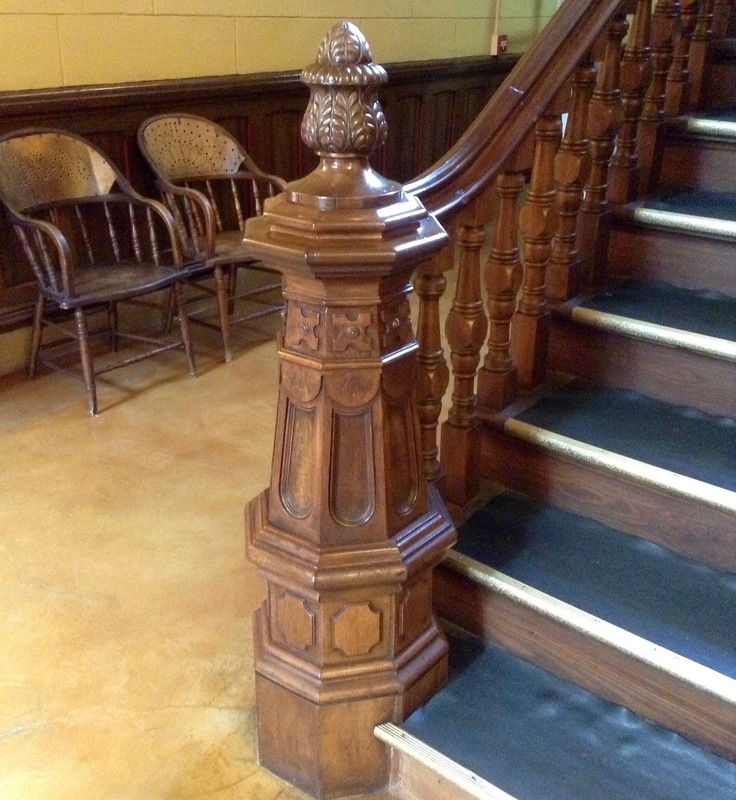 (This is the southeastern corner). 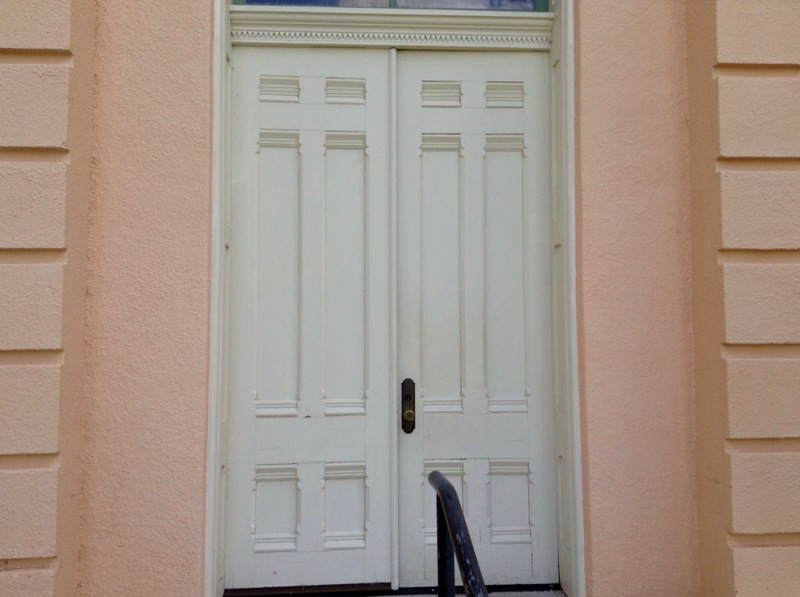 The doors ahead are the entrance to the second floor’s large, district courtroom. 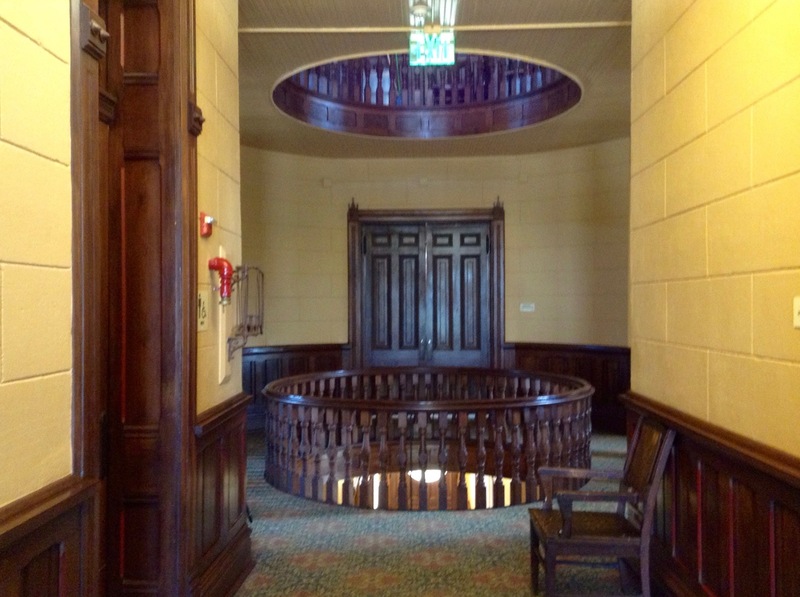 One of my biggest regrets is that I wasn’t able to see inside of it. 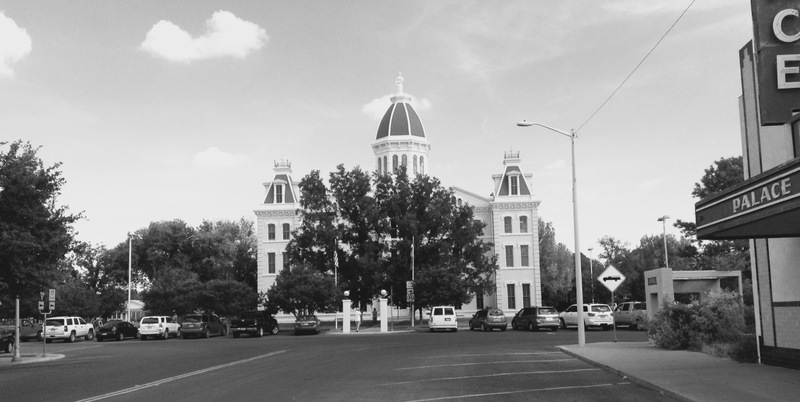 Court was being held when I arrived in Marfa. 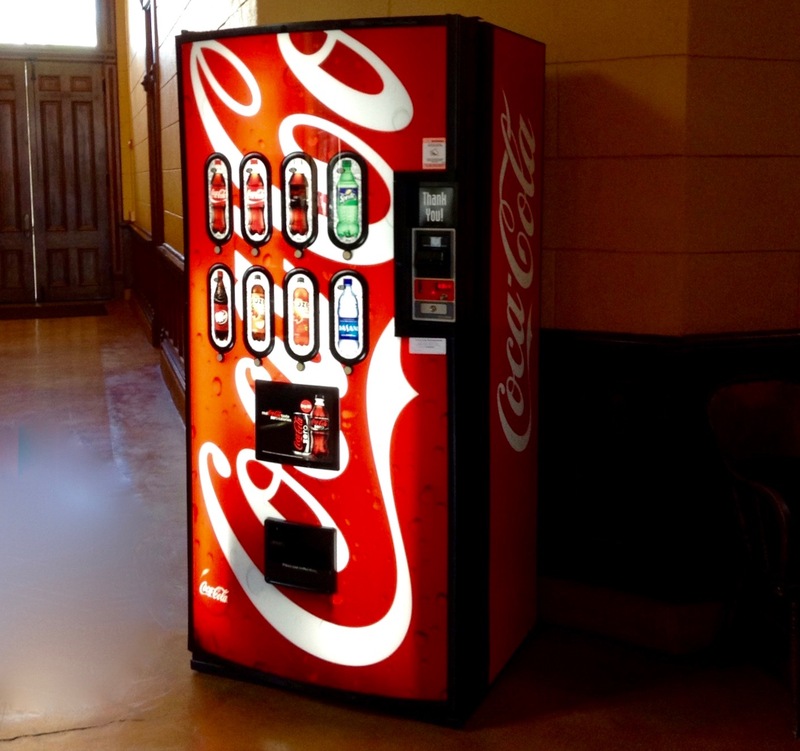 The Presidio County Courthouse meets the modern era. 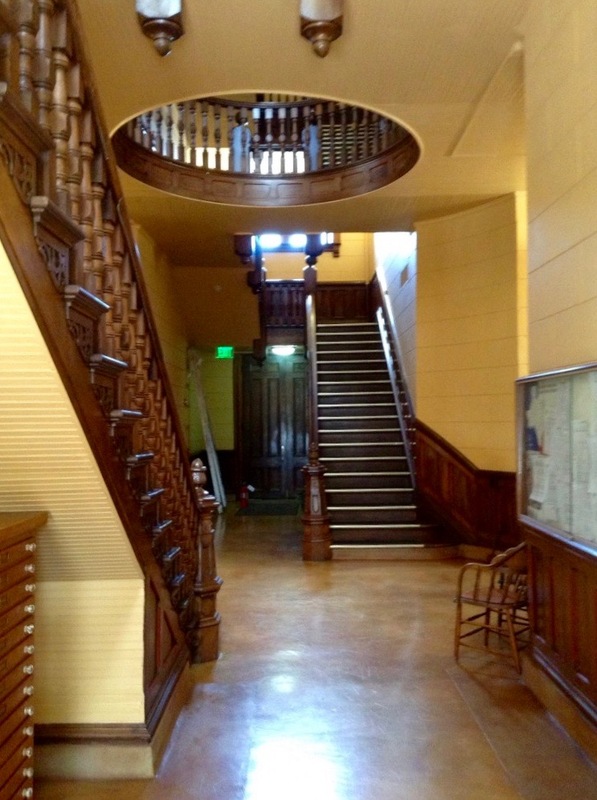 Here’s the look towards Lincoln Street from the western doors. 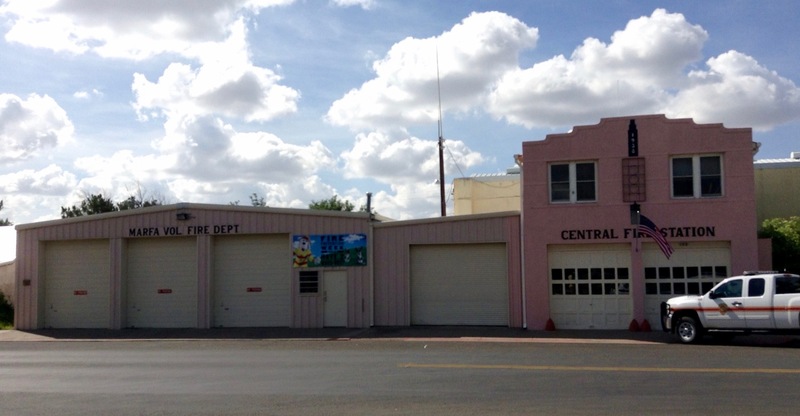 The fire station on Lincoln Street bears that signature Marfa pink. 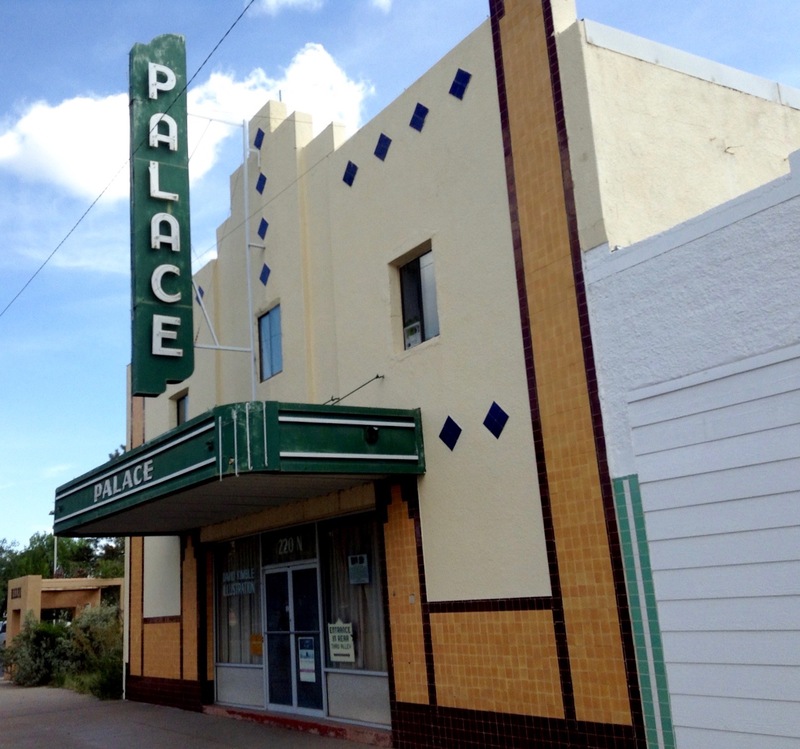 This is the historic Hotel Paisano where stars like Elizabeth Taylor and James Dean stayed while filming “Giant” nearby. 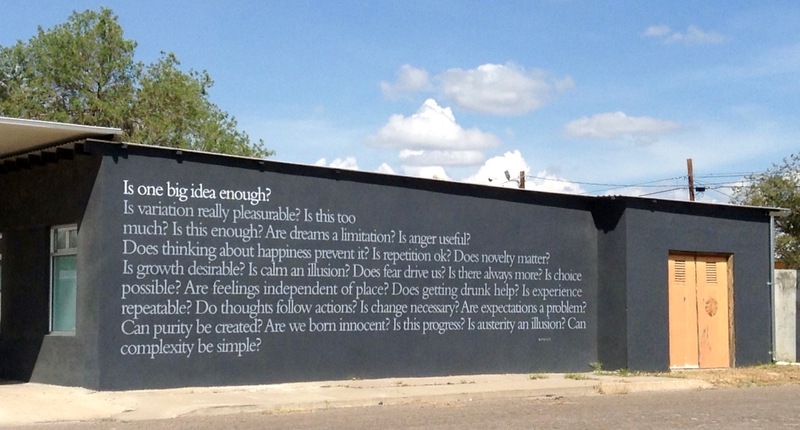 It wouldn’t be Marfa is there wasn’t an old gas station philosophically questioning passerby.